When anyone mentions the name “Maytag”, everyone thinks of the lonely Maytag repairman sitting by the phone with nothing to do. Even today, Maytag appliances are recognized the world over for their quality workmanship and dependability. Today’s appliances are even more dependable, offering the newest technologies making your life even easier through inspired innovations. Maytag appliances are built for durability and functionality. Maytag is committed to making products that make life easier for people so they can spend time doing what really matters—being with family and friends. Maytag accepts their responsibility to develop high-performance appliances that conserve the earth’s resources and help homeowners do the same. They continually monitor the environmental effects of their business, not only by creating many new and innovative products that consume less water and energy, but also by improving manufacturing and distribution processes, and using materials that minimize the impact on the planet. However, even the best of the best can have things go wrong occasionally—that’s when it’s time to call LAFixit. We are SoCal’s most dependable Maytag appliance service and repair company. Our technicians are all certified, licensed, insured, and bonded, and there is NEVER a charge for travel time. 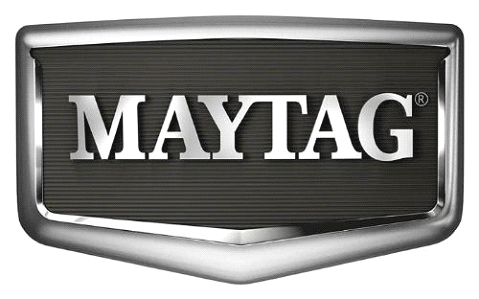 We repair all makes and models of all major appliances, including Maytag. Our professionals will repair your appliance in the most efficient and timely manner, using only manufacturer approved parts. With our busy lifestyles, we bump and go – the kids to the dentist, soccer practice, little league, etc. If any one of our appliances goes down, it’s mayhem! From breakfast to bedtime and everything in between, we depend heavily on our appliances. When any one of them stops working, your world comes to a screeching halt! Especially dishwashers – they have a tendency to make a HUGE mess when they quit! If your Maytag dishwasher starts acting up, call LAFixit and stop worrying. In most cases, we will come out the same day. We suggest you try troubleshooting some of the more common problems by following the instructions in the user’s manual that is available for download. The problem could be an easy fix, possibly saving you a service call fee. Once you have attempted to resolve the issue, if it persists, be sure to call us to speak to one of our technicians or schedule a service call. Check for tripped breakers. If you reset the breaker and it “pops” again, call LAFixit immediately! Cycle time is anywhere from 1.5 to 3 hours long depending on the cycle and options selected. A delay automatically occurs in some wash and rinse cycles until the water reaches the proper temperature. Some models are equipped with an optical sensor wash that detects water temperature, soil, and detergent amount. Wash cycles are then adjusted based on what is sensed. When loads are overly dirty, the optical sensor will default to the longest cycle time available. If this is a new installation, the very first wash cycle will be adjusted to include an additional 2 rinses. This cycle must not be interrupted for proper sensor adjustment. If this adjustment cycle is canceled or stopped before the CLEAN light comes on at the end of the cycle, the next wash cycle will repeat this sensor adjustment. Maytag’s Dual Cool® evaporators generate separate humidity levels in the refrigerator and freezer so you can depend on your fresh and frozen food staying its best. Somewhere between the grocery store and home, cold food becomes not so cold- that’s where Maytag’s PowerCold® feature gets everything in your refrigerator back to nice and cold, nice and quick. If your Maytag refrigerator is equipped with an adjustable-temperature refrigerated drawer, you can select a custom temperature based on what you are storing. Decide what to use it for, and then select the perfect temperature to match. If your model comes with The Beverage Chiller™, that compartment is up to 4°F colder than the rest of the refrigerator so there is always a cool, refreshing drink available. However, any one of these areas can quit working without notice. While that is not as bad as the refrigerator quitting altogether, it is frustrating to say the least. Unfortunately, this is a not consumer repair-friendly area with all the electronics involved. A quick call to LAFixit will have you back in up and running in no time. Check to make sure all the compartment doors close properly and are not blocked. Also ensure that the drawers are not overly full, causing them to stay open. Listen for compressor. If it doesn’t kick on in a few minutes, call LAFixit Do not wait – food spoilage can run into several hundred dollars. Be sure to keep all doors closed as much as possible. We are open seven days a week and offer same-day service. As long as we do the job, our service calls are FREE. Your new refrigerator may run longer than your old one due to its high-efficiency compressor and fans. As with all Maytag appliances, they are built to last and serve your family for many years. Considering the state of the art styling and electronics in the newer appliances, your Maytag stove or oven may need a repair from time to time. When things do go wrong with your Maytag cooking appliances, call LAFixit. Our experts are standing by to help you schedule one of our techs to come out and service your appliance at your convenience. Our professionally trained authorized repair technicians understand the importance of being able to cook. We are open 7 days a week, and we offer same-day service! 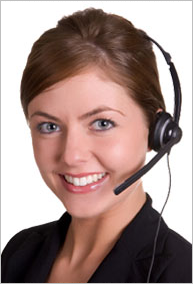 In addition, as long as we do the work, there is No Service Call Fee! Call LAFixit for all your Maytag repair needs. Our highly trained technicians will schedule your appointment and deliver the quality of service you expect and deserve. Whenever possible, LAFixit will schedule same-day service and send their highly trained technicians to get your appliance up and running again. Although LAFixit makes every attempt to carry a good inventory of parts; occasionally parts may need to be ordered. With our wide network of resources, we can rush the parts and complete the repair in a timely manner. Your satisfaction is always 100% guaranteed at LAFixit. The usual point of reading Yelp reviews is to find a hire that does good work and doesn’t rip you off…at least it is for me. Well that’s why I’d recommend LA FixIt, even after we overcame a scheduling snafu. Mike and Andre both came to fix my A/C and dryer (separate issues).